A Beautiful New Mexico Early Fall Weekend. 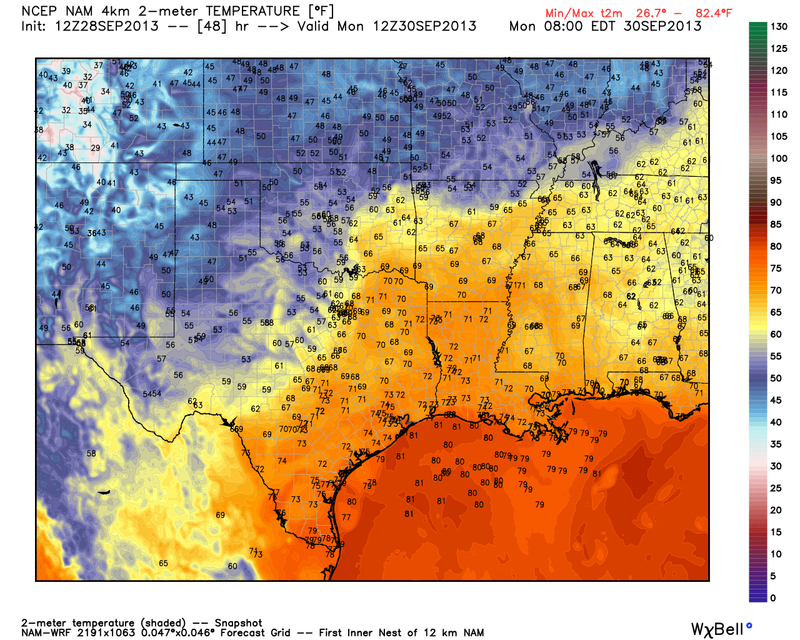 This Mornings Temps At Sunrise. HRRR Temperatures At 7 AM MDT This Morning. 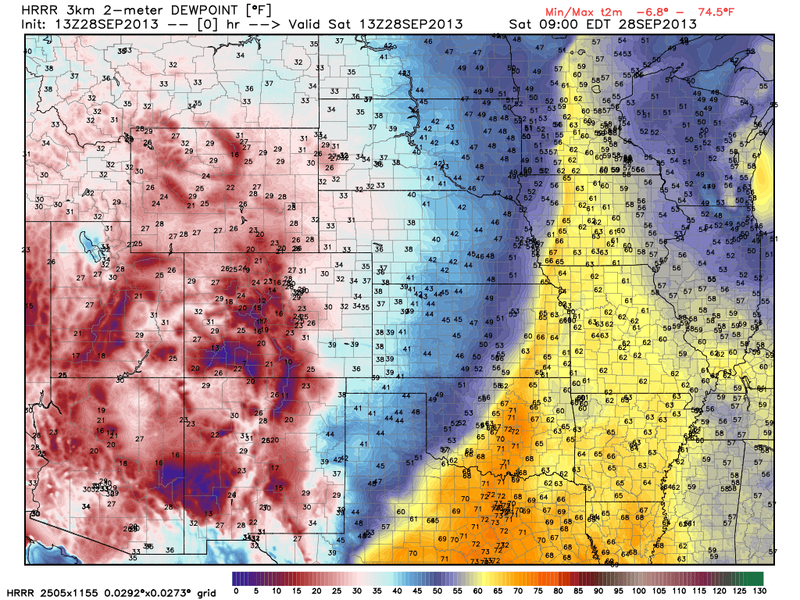 HRRR Dew Point Temperatures At 7 AM MDT This Morning. 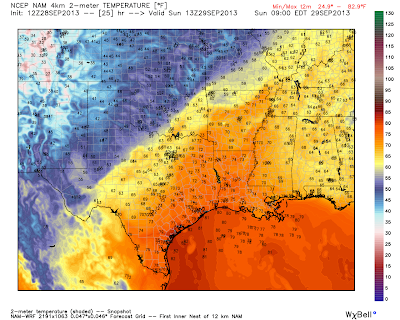 A Pacific cold front swept eastward across New Mexico and west Texas overnight. Its really easy to see where the front was located at sunrise this morning. 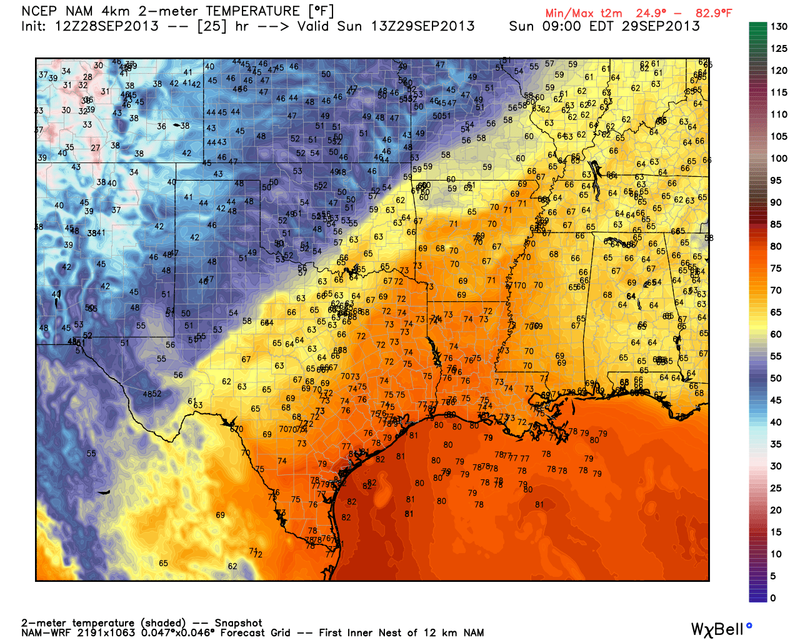 A much cooler and drier airmass has moved in behind the front. The Gulf moisture has been swept eastward out of the area with our dew point temperatures running in the 30's this morning, verses the 50's and 60's yesterday. NWS Midland, TX Dual Polarization Radar Estimated Rainfall Totals. 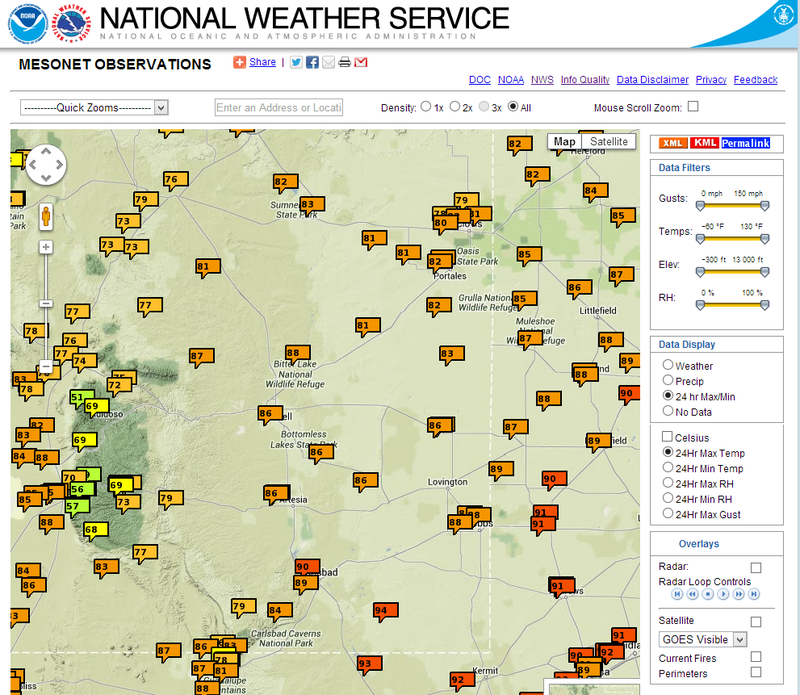 Most of yesterday afternoons and evenings thunderstorms managed to stay east of the Pecos River. 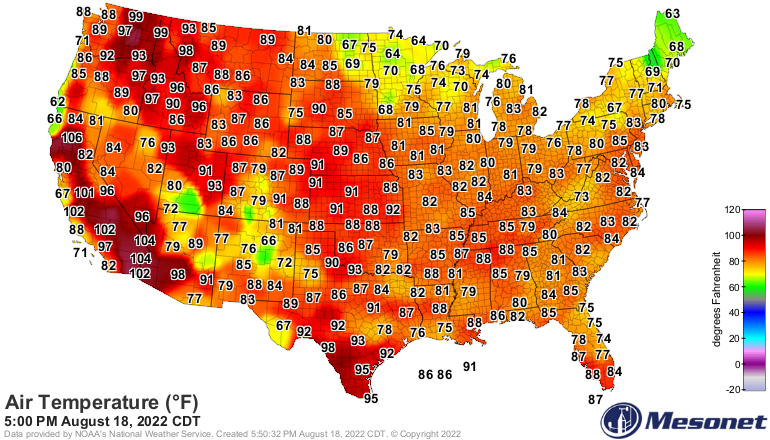 NWS Mesonet High Temperatures Reported Yesterday. 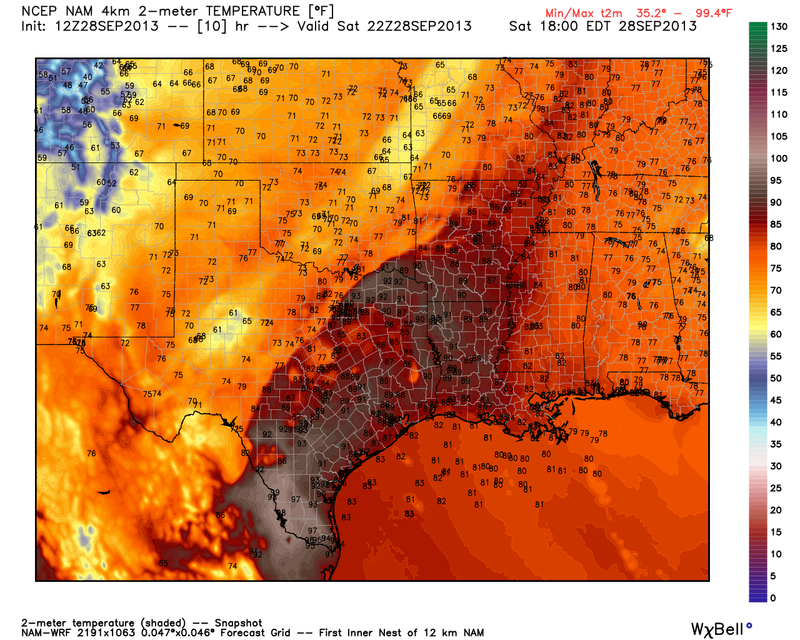 12Z 6 AM MDT WRF/NAM Forecast Temps. 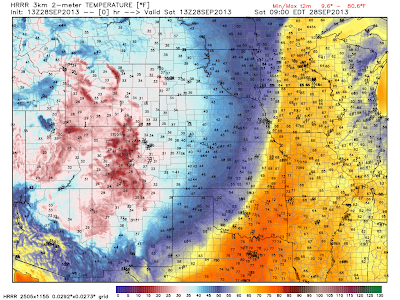 Valid At 4 PM MDT Today. 00Z/6 PM MDT ECMWF Temperature Anomaly Forecast. 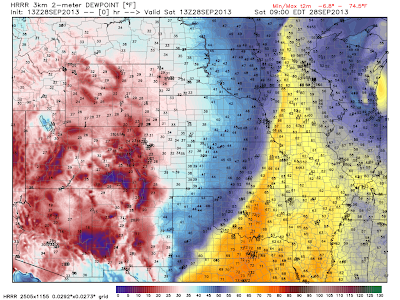 Valid At Noon MDT Today. 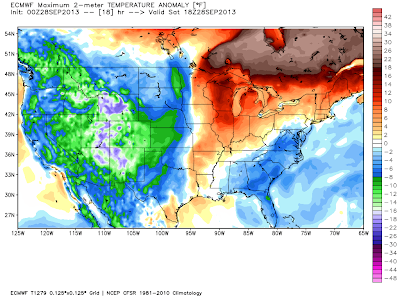 Valid At 7 AM MDT Sunday. 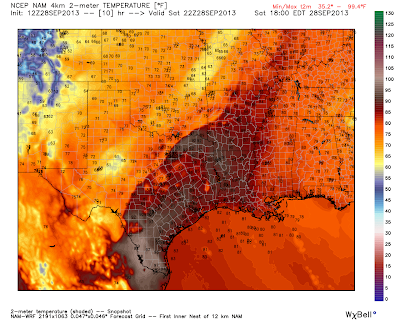 Valid At 5 PM MDT Sunday. 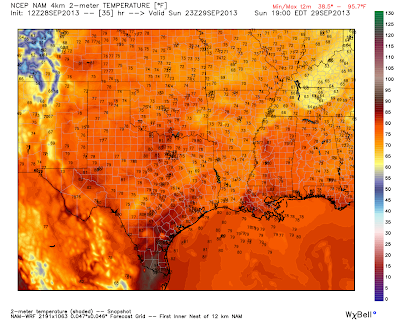 A beautiful weekend is in store for us across the Land of Enchantment. 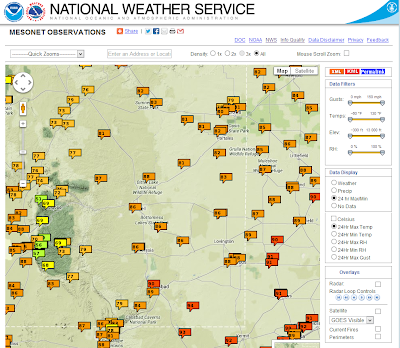 Our highs today and Sunday across southeastern New Mexico are forecast to be in the 70's. Our morning lows tomorrow morning and Monday morning are forecast to range from the mid 40's to the low 50's.